DEATH IN THE DESERT! 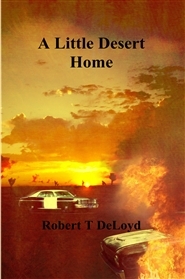 An underequipped police department of a small desert community is faced with its first murder. The city council regards these officers as merely high paid security guards; writing tickets and putting up flash flood warning signs. They are to take on modern day criminals using patrol cars from the 70s and radio communications that is just as antiquated. Unprepared and undertrained, these three officers of the City of Copper Mountain Mesa Police Department try to deal with this new threat which is unfolding right at their doorstep.